Rolawn blended loam topsoil is a high quality, fertile, organic rich multi purpose top soil. 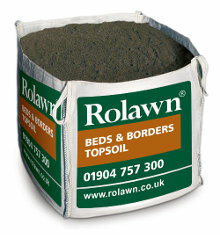 It is a blend of topsoil recovered from prime arable land and a peat free soil conditioner. It is ideal for using in planting and landscaping where a quality outcome is essential. It is light, friable and easy to work, even in wet conditions. 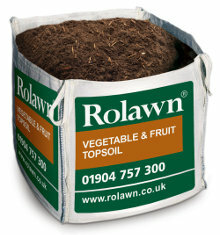 Each bulk bag contains up to 50% more product than 1 tonne of ordinary topsoil.